Triple-roller mill is mainly used in paint, printing ink, pigment, plastic, etc., especially mill and disperse products with high viscosity and small granularity. Due to mutual squeezing of three horizontal alloy bowls and friction with different velocity, great milling effect can be realized. It adopts sprocket driven, the gear is immerged into lubricant, so service life of the machine is maximum prolonged, noise and energy consumption is reduced. The bowl adopts wear-resistant alloy steel, has a longer life. Application Industry: Suitable for dispersing and grinding materials in industries such as ink, color paste, adhesive, biology, pharmacy, foodstuff, cosmetic, paint,photovoltaic materials etc. Applicable Materials : Materials shall be with viscosity less than300,0O0cps, with comparatively high requirements of final grinding result such as offset ink, chocolate, lithiumslurry, electronic glue, silver aluminum paste etc.. The roller can be designed as per materials viscosity to be suitable for materials with high viscosity. mid viscosity. low viscosity respectively.Little rise in temperature, stable quality of the finished product. The machine can be Ex proof type. The roller material can be Ceramics material such as zirconium, aluminiumoxide etc. The equipment consists of three rollers fixed on the frame and driven directly by the motor. The rotation directionbetween rollers is generally different, the former roller rotates forward, rear roller rotates backward. The speed of former roller is quick, while speed of rear roller is slow. 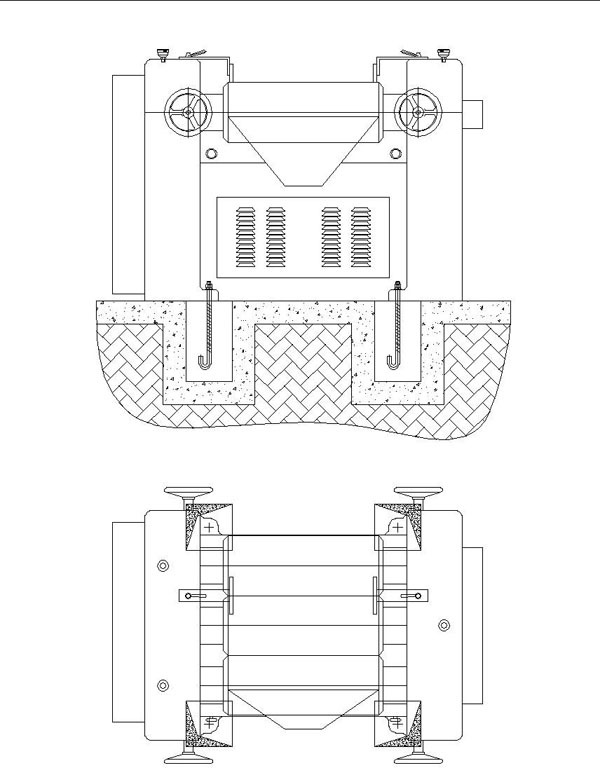 The mid roller is fixed, former and rear rollers are mounted on the slide with spring device. 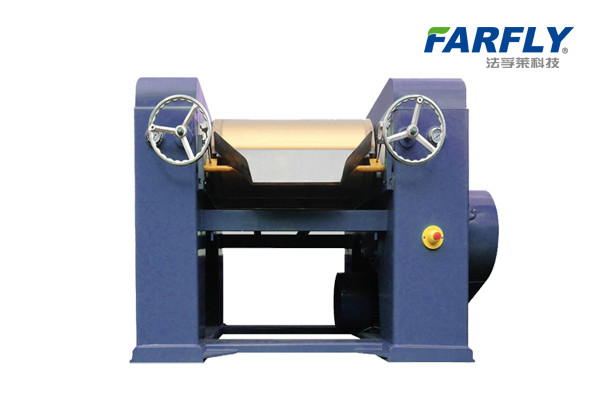 Adjust the distance between three rollers by hand wheel. The material, charged from space between rear roller and middle roller, are squeezed by the rollers to obtain smaller particle size. Then the material are rolled out by the fast roll (Roll rotates at high speed). The scrapper at the end of the fast roller separate materials from the roller and fall into the collection barrels.